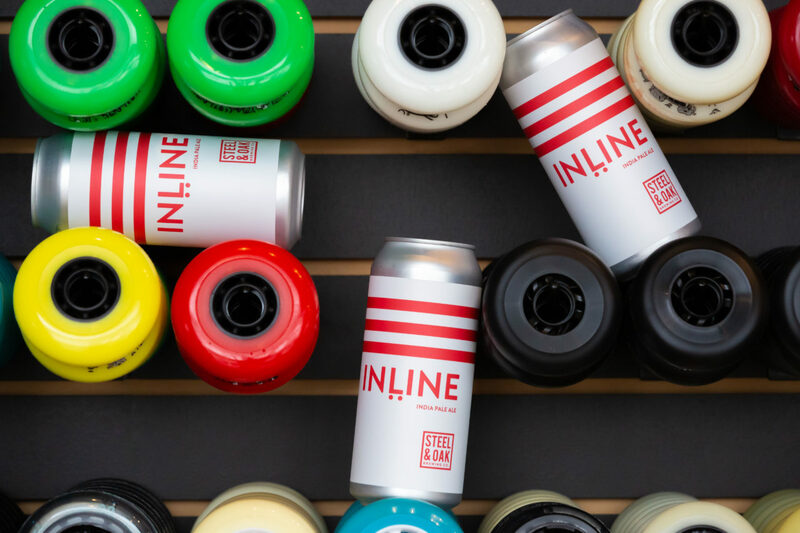 Inline IPA - The beer formerly known as Rollerblade - Steel & Oak Brewing Co.
From concept to design Inline IPA is a bit of a long story. I was in San Diego a few months ago with my wife and kids. When you have kids time is at a premium, but I was still able to squeeze in a couple brewery visits. Lots were brewing hazy beer but I loved the big, aromatic, clear, and relatively dry IPAs that San Diego breweries are often known for. When I got back I said to our Head Brewer Eric that I want us to make a San Diego-style IPA. His Grandma lives in San Diego but doesn’t drink a lot of IPA so he had to do some deeper research to develop this recipe. Eric and our Assistant Brewer Chef have created a 7% bomb of an IPA. It’s full of Simcoe and Amarillo with notes of citrus, melon, and peach. It packs a punch. Finishing bright and crisp with a refreshing bitterness. I’ve been to San Diego quite a few times and normally stay on Pacific Beach. If you’ve ever stayed on Pacific Beach you’ll notice a gentleman that rollerblades up and down the boardwalk daily in slow motion! He’s known on Pacific Beach as the legendary Slomo. There is a wonderful 15 minute documentary on him that you can watch below. I wanted to pay homage to Slomo and the many times I’ve high-fived him going down the boardwalk so I decided to go with the now obvious, Rollerblade. 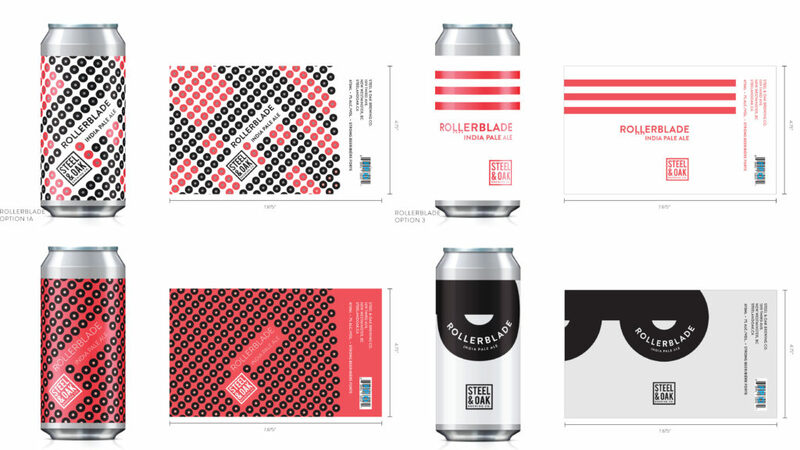 Sami did up some rad designs for Rollerblade and all of them would have worked well with the beer. However, we landed on the retro sock design with the little rollerblade wheels as our favourite. The problem I didn’t think of is that Rollerblade is a company. It’s kind of like Frisbee, or Kleenex. We interchange the company names to describe discs and tissues just like most people use rollerblade for inline skates. But I don’t feel like getting a cease and desist letter so Inline it is! Inline is the latest of our rotating series of IPAs and we hope you dig this San Diego-inspired beer.